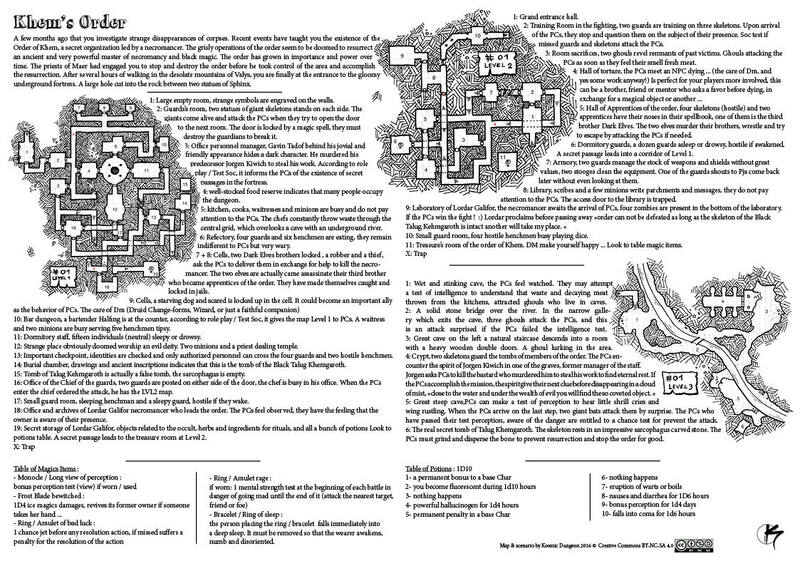 Hello everyone, this is the first one page dungeon I realized. 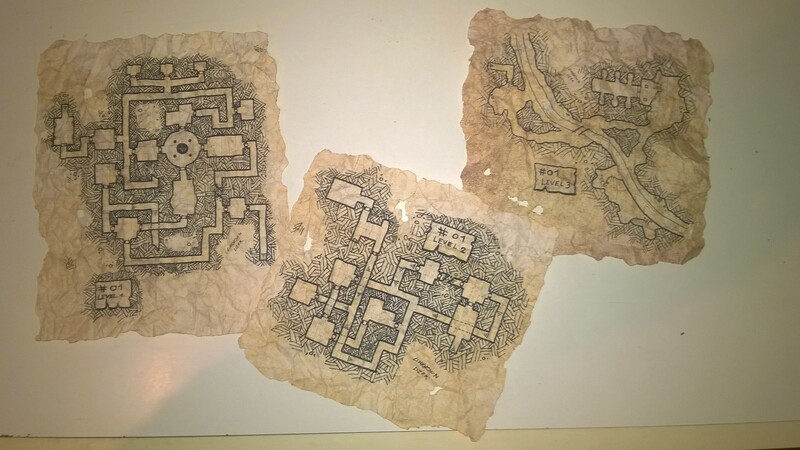 The maps I used are among the first that I designed, the scenario is inspiration from a campaign we play with my group of PCs. You investigate strange disappearances of corpses since months. Recent events have taught you the existence of the Order of Khem, a secret organization led by a necromancer. The macabre operations of the order seem to be doomed to resurrect an ancient and very powerful master of Necromancy and Black Magic. The Order has grown in importance and power over the time. You have been engaged by the priests of Maer to stop and destroy the order before it takes control of the region and accomplishes the resurrection. After several hours of walking in the desolate mountains of Valys, you are at last before the entrance of the gloomy underground fortress. A large hole carved in the rock between two statues of Sphinx.